Find caravan and mobile home self catering holiday accommodation at holiday parks in East Yorkshire, North East England. Mobile homes and static caravans in East Yorkshire offer incredible value for money for a self catering holiday, whether you are looking for a budget break or luxury holiday. With many different formats of holiday home available they are perfect for couples, families or groups of friends. Rent a mobile home or static caravan in East Yorkshire available direct from independent owners and leading holiday operators. Weir Deluxe in York has static caravan and mobile home self catering accommodation that sleeps 6. Comfortable caravan with one double and one twin. See selected Weir Caravan Park customer reviews/feedback shown by clicking More Info button. Cayton Silver Plus 2 Caravan in Scarborough has static caravan and mobile home self catering accommodation that sleeps 6. Superior 12ft-wide caravan with one double and one twin. No pets. See selected Cayton Bay customer reviews/feedback shown by clicking More Info button. Reighton Deluxe 2 (Sat) in Filey has static caravan and mobile home self catering accommodation that sleeps 6. Luxury 12ft-wide caravan with one double and one twin. No pets. See selected Reighton Sands customer reviews/feedback shown by clicking More Info button. Reighton Deluxe 3 (Sat) in Filey has static caravan and mobile home self catering accommodation that sleeps 8. Luxury 12ft-wide caravan with one double and two twin. No pets. See selected Reighton Sands customer reviews/feedback shown by clicking More Info button. Cayton Bronze 3 in Scarborough has static caravan and mobile home self catering accommodation that sleeps 8. Caravan with one double and two twin. See selected Cayton Bay customer reviews/feedback shown by clicking More Info button. Reighton Standard 2 in Filey has static caravan and mobile home self catering accommodation that sleeps 6. Standard caravan with one double and one twin. See selected Reighton Sands customer reviews/feedback shown by clicking More Info button. Cayton Silver Plus 2 Sleeps 4 in Scarborough has static caravan and mobile home self catering accommodation that sleeps 4. Superior 12ft-wide caravan with one double and one twin. No pets. See selected Cayton Bay customer reviews/feedback shown by clicking More Info button. Skipsea Silver 2 in Skipsea has static caravan and mobile home self catering accommodation that sleeps 6. Superior caravan with one double and one twin. No pets. See selected Skipsea Sands customer reviews/feedback shown by clicking More Info button. Skipsea Gold Plus 2 in Skipsea has static caravan and mobile home self catering accommodation that sleeps 6. Top of the range 12ft-wide caravan with one double and one twin. Double glazed and centrally heated. No pets. See selected Skipsea Sands customer reviews/feedback shown by clicking More Info button. Skipsea Gold 2 (New) in Skipsea has static caravan and mobile home self catering accommodation that sleeps 6. Superior 12ft-wide caravan with one double and one twin. Heating throughout. No pets. See selected Skipsea Sands customer reviews/feedback shown by clicking More Info button. Tollerton Caravan WF in York has static caravan and mobile home self catering accommodation that sleeps 5. 12ft-wide caravan with one double and one single. Shower. Double sofa bed in lounge. 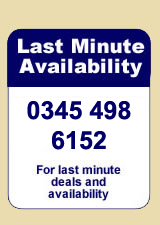 Suitable for parties including partially disabled visitors-please check when booking. No pets. See selected Tollerton Holiday Park customer reviews/feedback shown by clicking More Info button. Reighton Standard 3 Saturday in Filey has static caravan and mobile home self catering accommodation that sleeps 8. Standard caravan with one double and two twin. See selected Reighton Sands customer reviews/feedback shown by clicking More Info button. Skipsea Silver 3 in Skipsea has static caravan and mobile home self catering accommodation that sleeps 8. Superior caravan with one double and two twin. No pets. See selected Skipsea Sands customer reviews/feedback shown by clicking More Info button. Viking in Tunstall has static caravan and mobile home self catering accommodation that sleeps 6. 12ft-wide caravan with one double and one twin. See selected Sand-Le-Mere customer reviews/feedback shown by clicking More Info button. Cayton Bronze 2 in Scarborough has static caravan and mobile home self catering accommodation that sleeps 6. Caravan with one double and one twin. See selected Cayton Bay customer reviews/feedback shown by clicking More Info button. Reighton Prestige 3 (Sat) in Filey has static caravan and mobile home self catering accommodation that sleeps 6. Super luxury 12ft-wide caravan with one double and two twin. DVD. Additional heating in bedrooms. Early 2.00pm check in. No pets. See selected Reighton Sands customer reviews/feedback shown by clicking More Info button. Reighton Deluxe 2 in Filey has static caravan and mobile home self catering accommodation that sleeps 6. Luxury 12ft-wide caravan with one double and one twin. No pets. See selected Reighton Sands customer reviews/feedback shown by clicking More Info button. Skipsea Gold 3 in Skipsea has static caravan and mobile home self catering accommodation that sleeps 8. Superior 12ft-wide caravan with one double and two twin. Heating throughout. No pets. See selected Skipsea Sands customer reviews/feedback shown by clicking More Info button. Withernsea Bronze 3 Caravan (Bunks) in Withernsea has static caravan and mobile home self catering accommodation that sleeps 8. Caravan with one double one twin and one with bunk beds. See selected Withernsea Sands customer reviews/feedback shown by clicking More Info button. Skipsea Silver 3W (Balcony) in Skipsea has static caravan and mobile home self catering accommodation that sleeps 8. Superior caravan with one double and two twin. No pets. See selected Skipsea Sands customer reviews/feedback shown by clicking More Info button. We have 107 holiday parks and caravan sites listed with caravan and mobile home accommodation in East Yorkshire. You may want to refine your search of these East Yorkshire holiday parks and so we have provided a few options below to help you do so. Holiday parks, caravanning and camping is a superb holiday choice but if you can not find the availability or right location for your beach break then why not look at some other self catering in East Yorkshire. There is some great value cottages and apartments in East Yorkshire available from our partner self catering site Find Cottage Holidays.